Here we see a series of furniture realised by Israeli designer Hilla Shamia who refers to this innovative joinery method as wood casting. 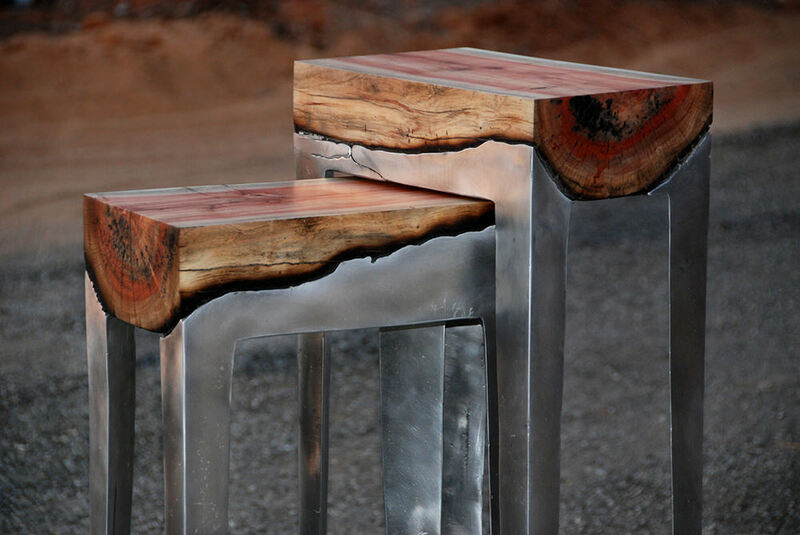 Pieces such as side tables, benches, stools and coffee tables have been created by pouring molten aluminium onto the rounded, bark side of square sawn timber. 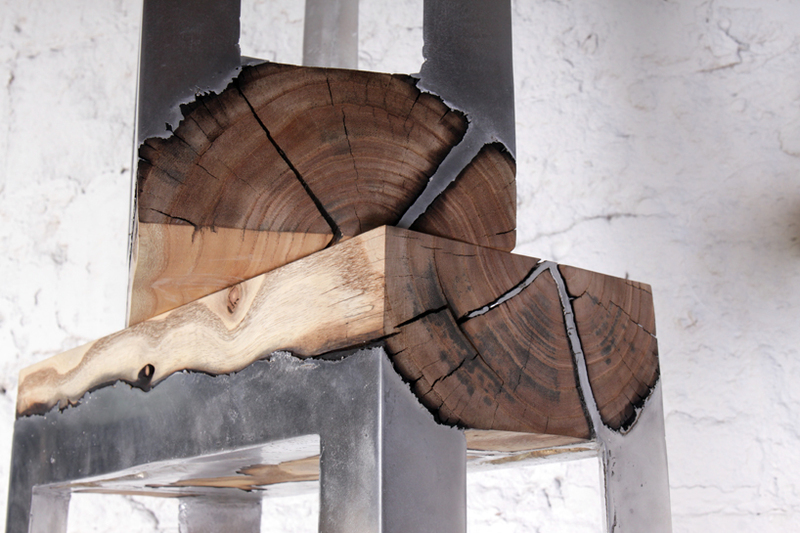 The molten aluminium chars the area of the wood it comes into contact with darkening it and creating a stark contrast against this relatively light coloured metal. 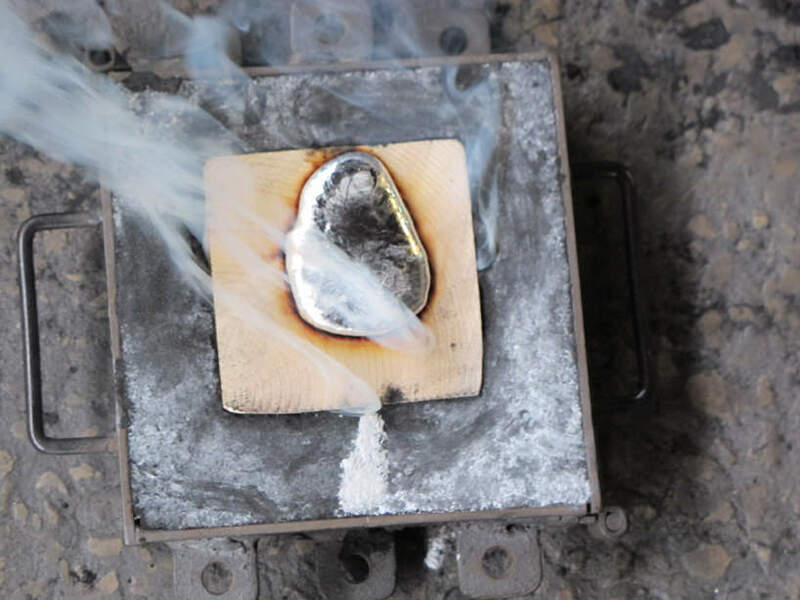 The charring also causes further splitting in the wood which the molten aluminium can penetrate in its liquid form and form a strong bond with as it solidifies. 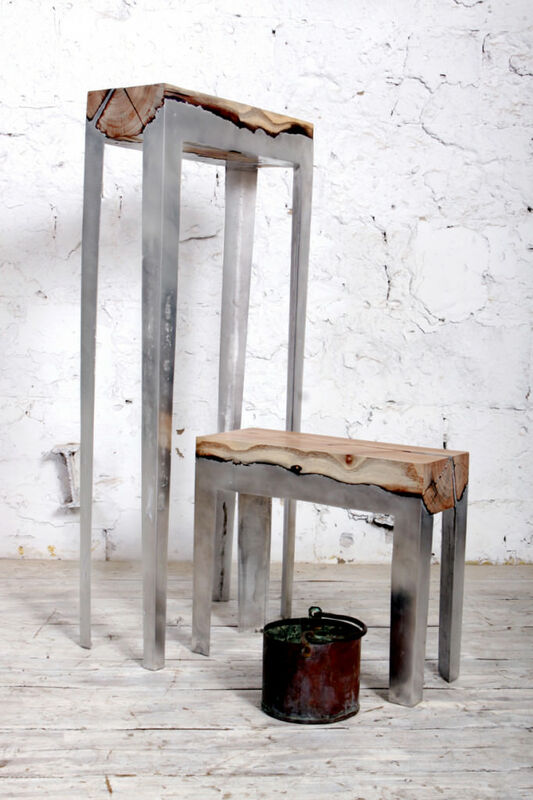 The flat square sawn timber comprises the upper surfaces of the Wood Casting furniture range while the aluminium sections are cast into moulds above it which form elegant tapered legs. 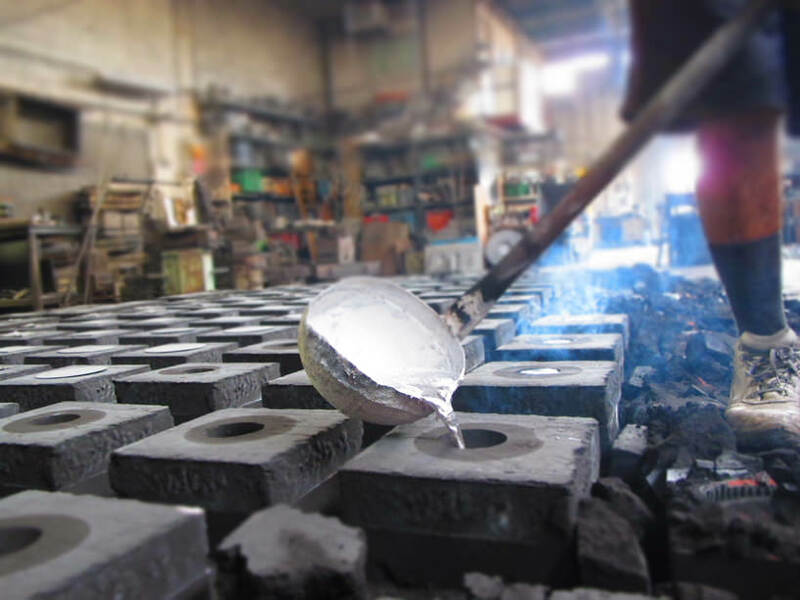 In these photos we can see the Wood Casting furniture being made. The production method for the pieces seems at first glance very quick and simple requiring no traditional joinery techniques such as chiseling. 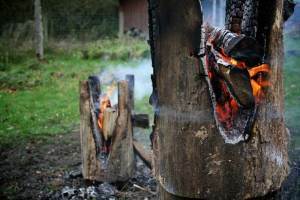 Every Wood Casting item is of course unique due to the natural materials used and the minimal hands-on craftsmanship involved in their making. 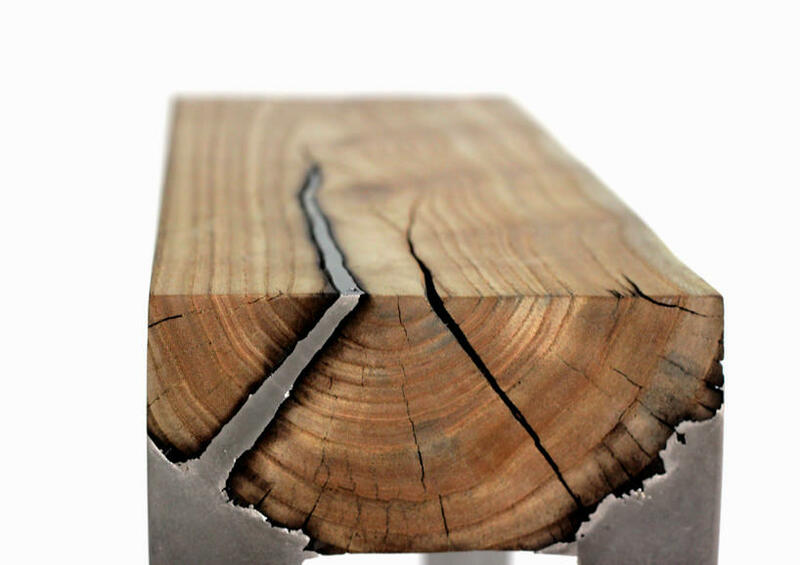 Each piece of timber has different splits running through it from the drying process, some of which run all the way through to the surface of the furniture, which makes the aluminium and it’s charring effect even more prominent in the finished product. 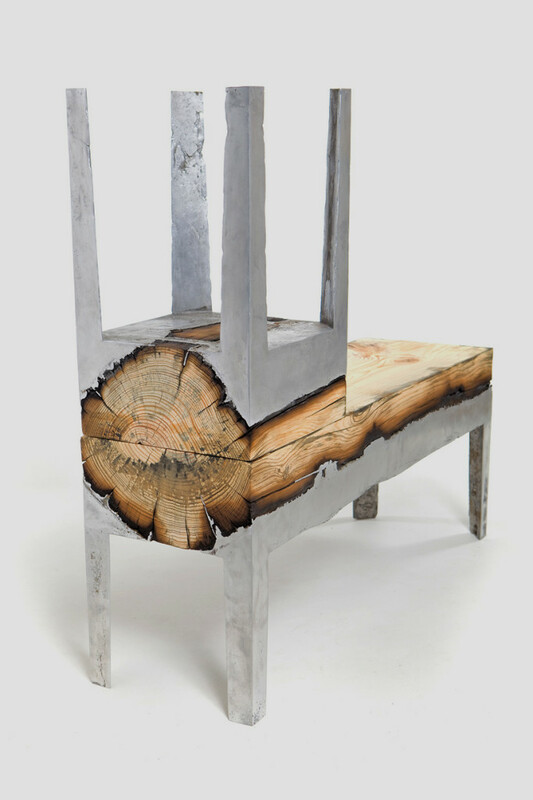 Hilla Shamia originally showed off her Wood Casting furniture at the Milan Design Week in 2012. It’s not clear whether any of the pieces created are still available to buy or any details of prices. However if you’re interested in purchasing any of her work she does list two physical shops – Entratalibera in Milan, Italy and ASUFA Design in Jaffa, Israel – which sell her designs on her website here. 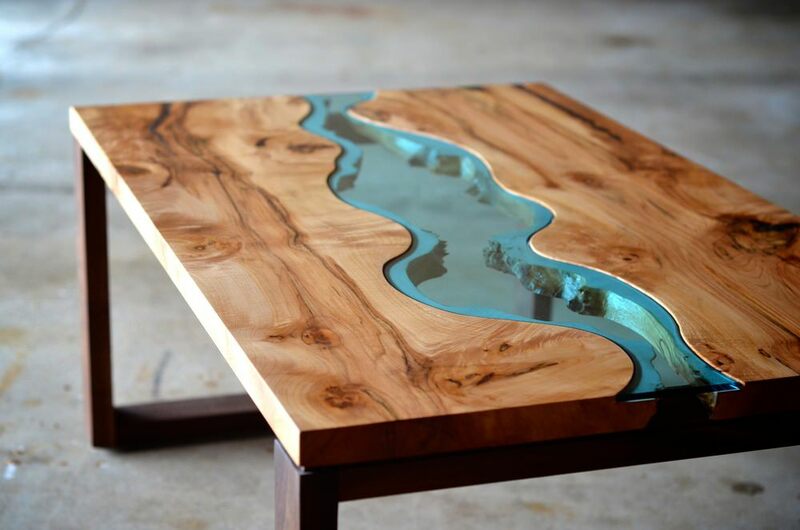 If you enjoy the blending of wood and metal in this furniture, you might also be interested in the Abyss Table by Duffy which mixes wood with layers of glass to create a table that looks like a relief map of an ocean floor. 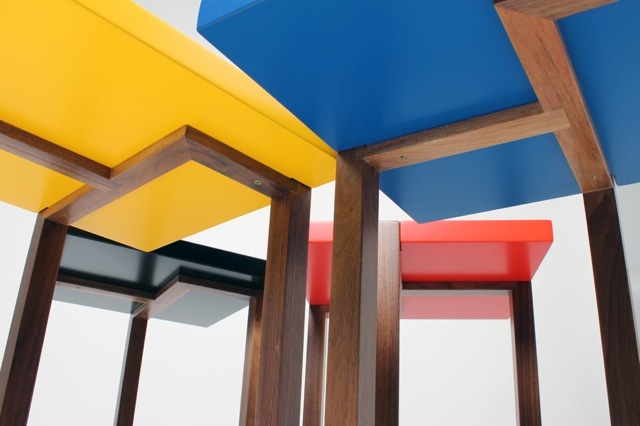 very good idea and a beautiful work…here in Brazil we do have a very nice hard wood that should be useful for that…black, red, orange , yellow and others colours… keep going on that… jose. As works of artistic expression, they are appealing. As furniture, the chair and stool appear too slender and/or top heavy (inherently unstable). Also, although aluminum is used, the overall weight of the furniture pieces may leave indelible marks on flooring or any child or dog under a toppled stool. 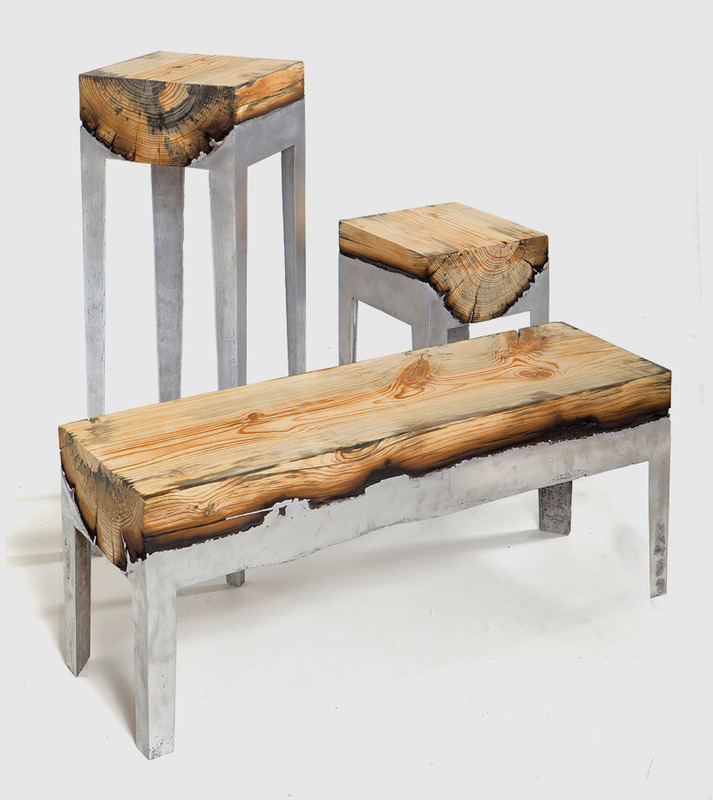 While contemplating this furniture process, I’m struck with the dimensional width limitations of available tree trunks. 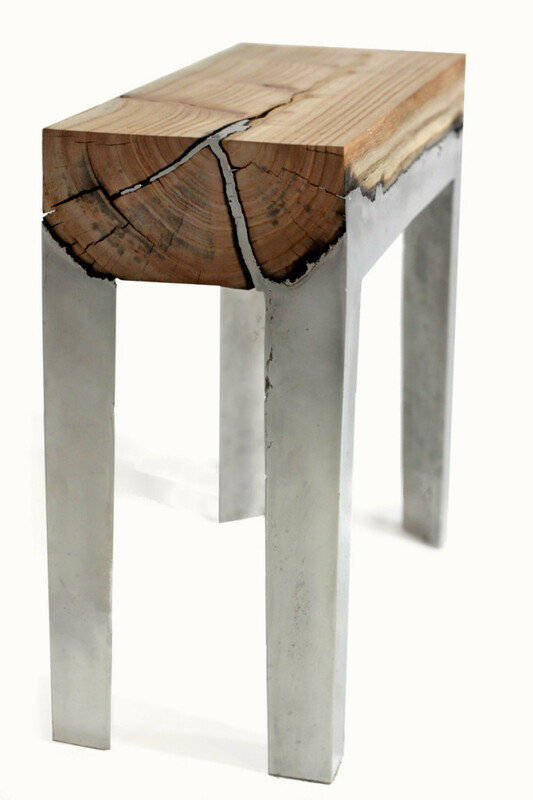 You would have to fell majestic, old-growth forests for table widths, and even then a single trunk diameter would eliminate knee space, effectively making it useless as a table. I do agree that the most appealing characteristic of this process is the organic infusion of the molten aluminum through the checks and splits in the wood, and wood grain finishes almost always are desired. 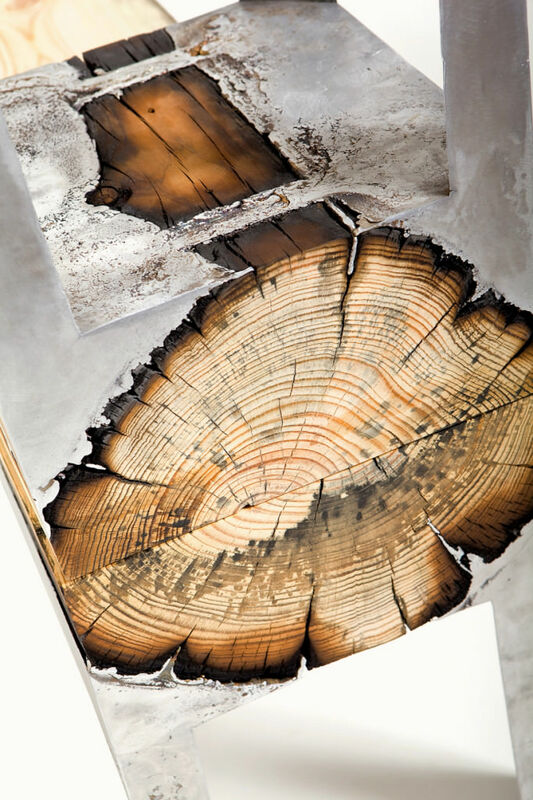 Pretty, does the charred wood offer strength or is it too soft to withstand the vigors of a tables’ life? I would think for a table it would be possible to use multiple smaller logs laid next to each other like a raft instead of one giant piece of timber. 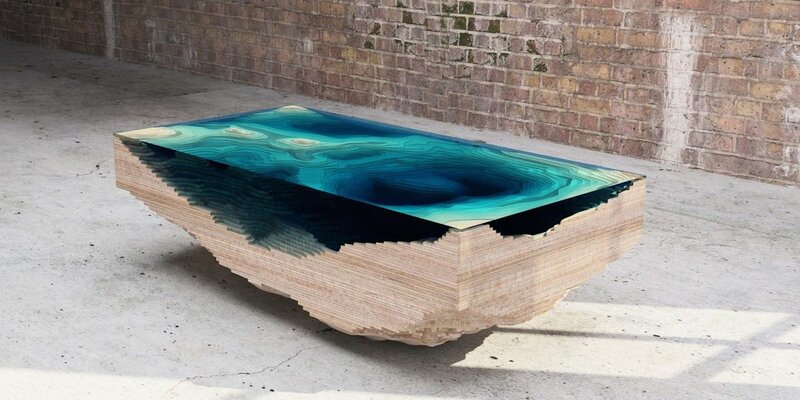 The weight of such a table would be extraordinary though. Never seen anything like this before. I luv the way the aluminium has seeped into the cracks. 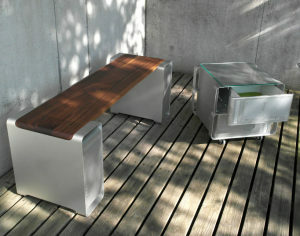 This furniture looks so trendy and stylish which are made by molten aluminium and wood casting, like it. 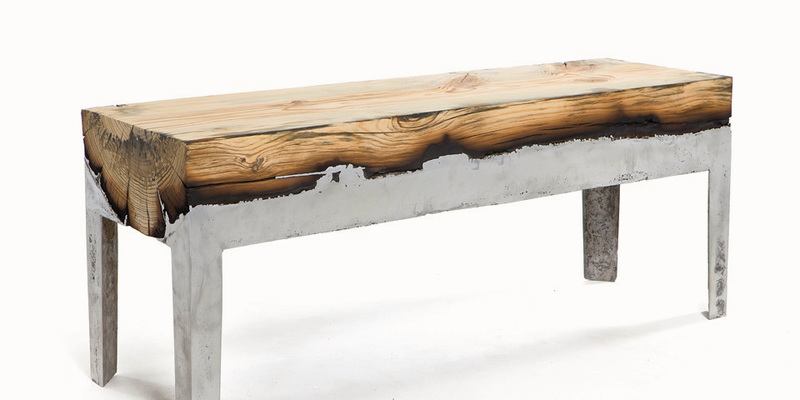 I think wood casting furniture is a great idea, really very cool. Well done Hilla Shamia…….